Catastrophe Cosmetics was targeted at troubled skin with occasional break-outs. 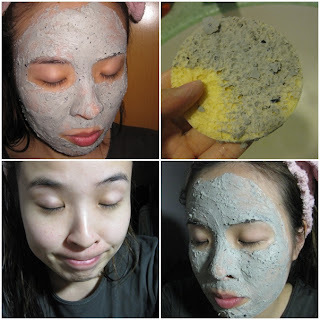 It is a "deep cleansing mask with calming, cooling properties", etc. Smells natural and slightly essential-oil-y, does give a calm and cool feeling to skin. A month or so ago, when I was browsing through the counter thinking of getting a new fresh mask, the male assistant told me this blueberry mask is good for hydration. (I have to pin-point his gender because generally I don't like to be served, and I find it is even trickier to get male's over-the-counter right, in my point-of-view) Although I quite clearly read and remember it says cleansing or clearing at some point, I do remember it is also one of the top favourites of Lush fresh masks. The humidity in HK wasn't that low at that time hence I figure, even if this is not hydrating, I can give it a try. 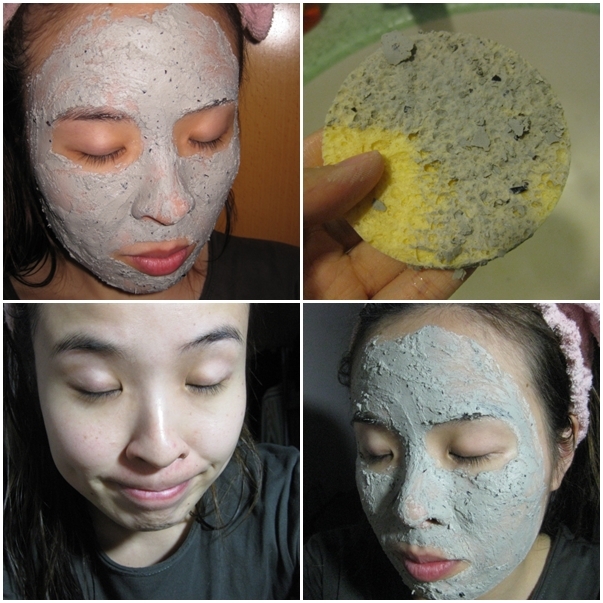 It is significantly a clay-base paste, with bits of blueberry skin in the mixture. Generally it is well-blended and easy to apply, not too hard to wash off either. Problem encountered: there is always a piece or two (or more) blueberry skin sticking on my face after careful wash with a sponge. Hence I always prep my skin with toner on a cotton pad before continuing with further skin care steps. **Note: I have dry skin and only monthly-hormonal-pimple(s)** My concern with skin is towards hydration, whitening/brightening and pigmentation-clearing (bye freckles). I don't mind to use heavier anti-aging products in advance but deep cleansing, oil-control, cooling things don't suit me so well.